Lot Detail - An Easy Grammar of Geography by Reverend J. Goldsmith with rare mechanical timezone dial. An Easy Grammar of Geography by Reverend J. Goldsmith with rare mechanical timezone dial. 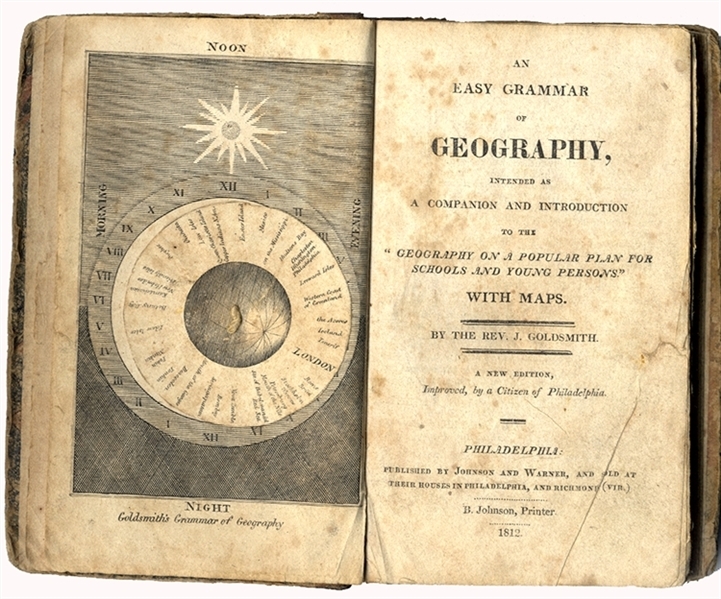 Book: An Easy Grammar of Geography by Reverend J. Goldsmith with rare mechanical timezone dial, 1812, Philadelphia, 202pp. 12mo. Fine condition.